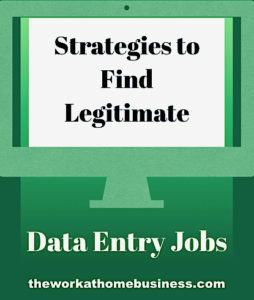 Need Strategies to Find Legitimate Data Entry Jobs? Need Strategies to Find Legitimate Data Entry Jobs? Whilst there are different methods that you can use, this post shares some Strategies to Find Legitimate Data Entry Jobs. Needless to say that more and more companies outsource jobs remotely, therefore there is a need for people do these jobs. For sure, these are tried and true best practices that family and friends have used. Assuredly, they work successfully for these folks and they are enjoying their jobs. Do you have basic skills in clerical work? For instance, are you skillful at typing on the computer, and know how to get around the basics? Rest assured that you are a good fit for some data entry jobs. Evidently, there are countless so-called work from home opportunities on the internet. Despite the fact that many websites have enticing proposals, you have to be careful of being trapped in a scam. Of course, work from home jobs in data entry is very popular, so there are menacing scammers out there. Fiverr. 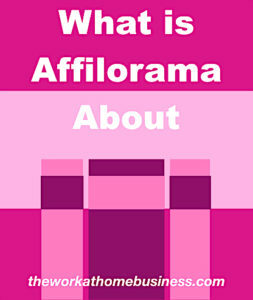 com: In particular, you can start off part-time freelancing with this company. Assuredly, this is a good way to earn some money on a temporary basis. This company is the largest in the world for freelance work, so you have a good chance of getting hired for your services. In truth, you start off earning five bucks per job. Actually, that’s how the website got it’s name Fiverr. No doubt, if you can start here, it is a great way to get some experience. You can grow your business with them. Upwork. com: With some experience under your belt, you can also check Upwork. This company easily connects you with clients because they have streamline hiring. In this case, they match you with the projects that are a great fit for you. One of the key aspects to work as a freelancer is to create a brilliant profile and put your interest forward in a strong way. Bear in mind that online freelance work is much like when you do a job search traditionally. Ideally, you forward your application for likely clients. Remember, a good profile is professional, free from errors, nicely written, and must be complete. In addition, you also need to include your online typing skills and of course accuracy. Freelancer .com: Similarly, this is another great website to check for data entry jobs. Significantly, this website allows prospective employers to place jobs for freelancers to make their bids. It is certainly one of the largest marketplace to post and to search for job opportunities. Whilst finding a job is a good thing, it is most important to do a thorough research on the company. For this reason, you want to avoid the ever so often appearance of deceitful scams. With this in mind, you need to check the reputation of the websites. Of central concern therefore is the legitimacy of the job offer. It is certain that two of the best website sources are Better Business Bureau and the Consumer Fraud Reporting. You can extend your Strategies to Find Legitimate Data Entry Jobs with these too. In the hope that you will find a data entry job, there are several websites that permit employers to place available jobs they need to fill. With this intention, you can search these job boards for opportunities and apply directly through their websites. Indeed.com and Monster.com usually have many job listings which include data entry positions. There are always full time and part-time openings, so check to see what will suit you best. On the other hand there is also CareerBuilder, but this website focuses on those with degrees. Signing up with other social media is also one of the Strategies to Find Legitimate Data Entry Jobs. One site that is often overlooked for data entry job opportunities is Linkedin.com. Rest assured that employers post many job openings on this social media website. For this reason you can extend your search for jobs. In fact, you can apply directly on Linkedin.com and then they send your information straight off to the prospective employer. Given the current high numbers of professionals on Linkedin .com, you can connect with many people. Remember to network with those who match your interest and stay connected with them, whether co-workers, new friends or the boss. Subsequently, this may very well lead to greater job opportunities. Clearly, just about every company needs someone to do data entry work, so one of the first places to really check is your own local area. For one thing, the work can be in office as well as online. Check Newspaper Ads: In case you do not care to read the newspaper for your area, then you can just go through the job advertisement pages. Bear in mind that you don’t have to buy the newspaper, but visit the library. Check Job Agency: Contact the agency in your area for guidance regarding your job search. In addition, they can help with professional advice for your resume. Microsoft Office: In case you need to brush up on your Microsoft skills, it’s best to work on them. Data entry involves the use of different software applications. Getting to know your way around can certainly increase your hiring chances. To emphasize, try to learn more than just the basics of Microsoft Word, Excel, Access, PowerPoint, and Outlook. You can practice using them as much as possible. Furthermore, get in on other applications like Project and Open Office too. While it’s clear that some data entry jobs do not require higher level education, you can still pursue further studies and prepare yourself for better opportunities. Therefore, if you can register and take courses online, or in the physical classroom, then you are looking at the possibility for a higher paying job. For one thing, courses in computer science or technology are good starters. On the other hand you may have a particular field that you are interested in. This is an effective strategy and will make your resume look awesome. Having considered all the above strategies, it is also reasonable to practice your typing. In general, the focus of a data entry job is typing. By all means, try to work on speed and accuracy, both of which are significant. In case you are at 60 words per minute, you can practice getting it up to 80 and higher for example. Check out free typing practices online, or you can type from a book and time yourself. An equally significant strategy is to practice for a good interview. By all means, research the company, their policies and use the information to prepare questions that you can ask at an interview. As a result, you can increase the possibility for a data entry job. My overall feeling is that if you put these strategies in place, you can definitely increase the possibility to Find Legitimate Data Entry Jobs. After I read your article, all I could think was with these many data entry possibilities how can anyone still be unemployed? I especially liked that fact that you suggested a winning strategy of first applying for freelance / part-time jobs, getting experience, improving skills and then going for more specialized opportunities. This made me think that one of my teenagers might like the idea of getting in the freelance world. This would give them a valuable experience prior to stepping into the adult life. Do you know if there is a minimum age to start? Thanks for visiting and it’s good to know that you are thinking about a job possibility for your teenager. If you are in the US, federal laws have regulation as to the type of work children under 18 years can do. If your teenager is 14 – 15 years old, there is a limit as to the hours and type of work. For children 16 – 17 years, there are no federal rules limiting the hours. Each company however may have their own age stipulation.